THE INDUSTRY DEMAND FOR ADDITIONAL OVERHEAD PROTECTION FOR BOOM LIFT OPERATORS IS THE DRIVING FORCE BEHIND THE RELEASE OF TWO NEW OVERHEAD PROTECTIVE SYSTEMS FROM GENIE. THE OPERATOR PROTECTION STRUCTURE (OPS) AND THE OPERATOR PROTECTIVE ALARM (OPA). 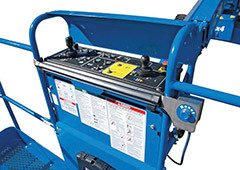 The OPS is a secondary guarding solution which can be fitted to Genie® articulating or telescopic boom lifts. It is specifically designed to provide secondary protection for operators in the event of contact with an overhead obstacle in certain applications. The Genie OPS features a tubular steel protective frame that transfers kinetic energy into surrounding structures. The design of the OPS ensures that excellent visibility is maintained with virtually no obstruction to the work area. Weighing just 16 kgs, the OPS can be specified as optional equipment with new Genie orders. Alternatively, it can be retrofitted to most Genie boom lifts with a platform width of 1.83 m (6 ft) or 2.44 m (8 ft). Also it can be readily transferred from one Genie boom lift to another as needed. This capability to fix the OPS as required is particularly useful for the hire and rental market. Genie has initiated a compliance program to ensure that the OPS meets AS-1418.10 and will not impinge stability requirements. This involves re-certifying stability testing of specific boom lifts which can accept the OPS. 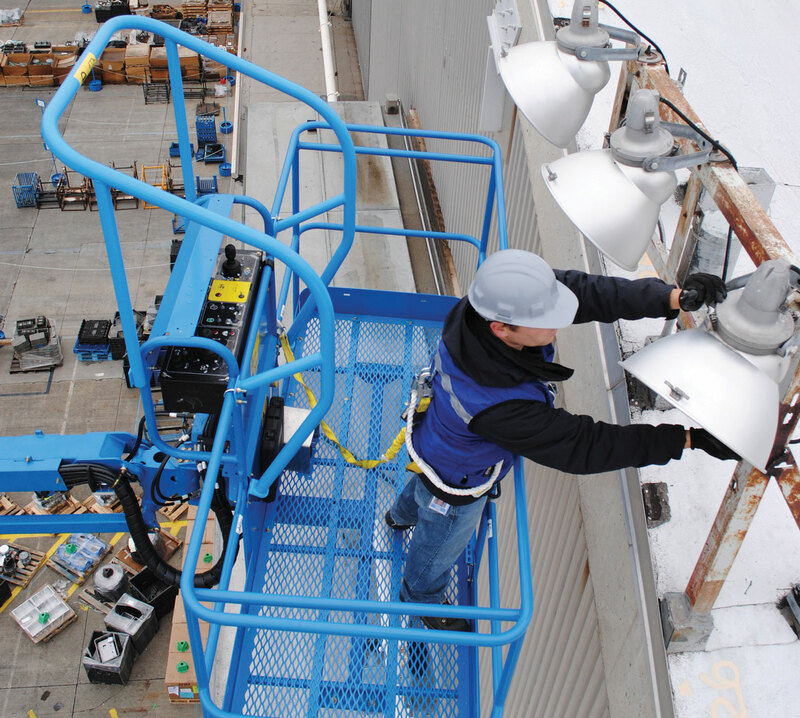 The Genie OPA system provides a secondary guarding solution for workers operating at height. Designed to alert ground personnel when an operator makes contact with the platform control panel, the system interrupts boom movement, sounds an alarm and causes a light to flash. The OPA system is as unobtrusive as possible, featuring a pressure sensitive horizontal bar that is fitted at approximately waist height and below the boom lift’s control panel. When pressure is placed on the bar, the system is activated. When activated all boom movement stops immediately. An audible alarm sounds and a light flashes. The system also features a re-set button to assist in the event that the system is inadvertently activated. The Genie OPA can also be moved from machine to machine. This system is factory installed as an option when specified on new equipment. It can also be retrofitted to any Genie articulating or telescopic boom model manufactured after 2002. For more information visit genielift.com.au or contact your sales representative.